Over a decade later, I remain baffled by how one of comedy’s most celebrated feminists pulled an Al Jolson in the early aughts. In 2010, Sarah Silverman tweeted a photo of herself in blackface accompanied with the cheeky caption “I’m having minstrel cramps.” Silverman’s throwback to the highly criticized 2007 “Face Wars” episode of her Comedy Central show was understandably as ill-received as her prior attempt at humor. Fast forward to 2015. Silverman, now aware of her error, admits, “It’s totally racist out of context, and I regret that.” Years later, her quasi-apology evolves: “There are jokes I made… that I would absolutely not make today, because I am less ignorant than I was. 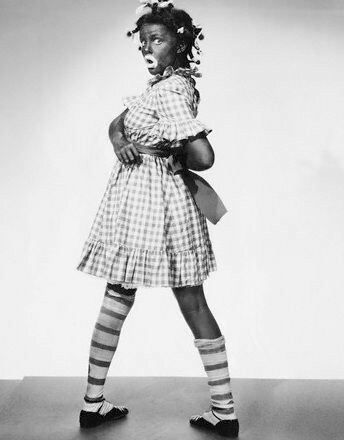 I know more now than I did.” The only problem with this is that I still can’t stop thinking about her blackface moment. Over a decade later, I remain baffled by how one of comedy’s most celebrated feminists pulled an Al Jolson in the early aughts. As much as I want to let bygones be bygones, every time I stumble across a reminder of her mistake — especially when searching for gifs of the legendary Queen Latifah — my thoughts start to spiral and there’s no way to avoid the obvious question: How the hell did this even happen? 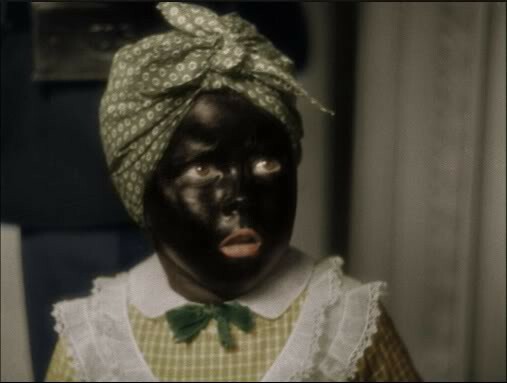 Sure, equally iconic women like Judy Garland and the forever endearing Shirley Temple, among others, have had blackface moments, but that was in the 1930s. Silverman’s incident, despite her regrets, has dragged our nation’s racist yet now frowned upon depiction of Blackness into the present. Doubly, her failure to openly grapple with the ramifications of her actions suggests a lack of understanding about why donning blackface — whether you’re famous or a misguided teen — isn’t something that should be taken lightly or forgotten. For me, it’s something I can’t delete from my memory. This is going to sound dramatic, but this gif totally haunts me. Whenever anyone mentions Silverman, it’s the first thing that comes to mind. When I briefly met her at the inaugural Women’s March in Washington, DC I struggled to look her in the eyes when she introduced herself. As I shook her hand, I kept thinking about “Face Wars” and all the collective hours I’ve spent ranting in bars or at house parties about how weird it is to live in a historical moment where white entertainers still don’t view blackface as off limits. When a fellow writer who I admire posts on Facebook about landing an interview opportunity with Silverman, I quickly respond with “Will you ask her about her blackface moment?” Despite being a dedicated trekkie, I find myself pressing pause on “Future’s End” during a recent binge Star Trek: Voyager. Instead of watching Captain Janeway and her crew navigate Los Angeles in the 90s, I’m twelve tabs deep in my browser, checking to see if Silverman has added any new explanations for one of her most controversial moments. In Black Like You, John Strausbaugh writes, “The public of the minstrel years wanted the spectacle of Black people without having to bear the actual presence of Black people.” But what can be said of today’s public? As a Black woman, I am aware of the joys and trials that go along with my ancestry. I live in an age still defined by firsts, police brutality, racially disproportionate poverty, and white supremacy. I live in an age defined by Issa Rae, Oprah, Michelle Obama, and Solange. I grew up in a nearly all-white suburb where I was spat on by classmates and called the n-word so frequently that I lost count well before middle school. I live in a city where I gather with women of my diaspora to drink wine, workshop our writing, and vent about how frustrating it is to exist in a world where white supremacy exists. I spend afternoons with friends at the Schomburg and together we stand in awe of our history. I watch Star Trek: Discovery with my father and I tear up when I think about how my parents, born into a segregated world and fought tooth and nail for me to have what they didn’t. So here I am, waxing poetic about my confusion over white celebrities like Silverman who’ve dragged the past into the present. Like Miley, Iggy, Kim, and Katy and recent offenders like Gucci, Prada, Virginia Governor Ralph Northam, Silverman’s actions remind me of how frequently white women treat our nation’s fraught history of dehumanizing Black Americans flippantly. For them, donning Blackness, whatever their proximity is to it, is something that can be reduced to a trope, an accessory, or a questionable moment that will for the most part be forgotten by the masses. No matter how much time passes, it will always just be racist to me. Originally written in 2018 and subsequently pitched to no avail.